SWANSEA VIVA! 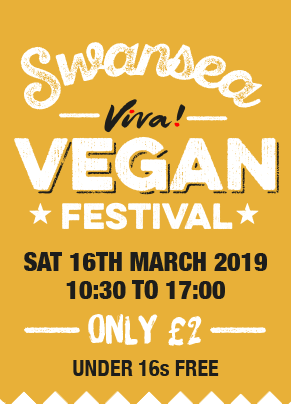 VEGAN FESTIVAL - Saturday 16 March 2019 | Viva! Inspirational talks and live cookery demonstrations happening all day! There's something for everyone so bring family and friends for a fab day out! TICKETS STILL AVAILABLE ON THE DAY! Standard £2 or VIP £12 with a goody bag can be bought on the door!